This time of year you are likely bombarded with information regarding the flu vaccine. Deciding whether or not to get the vaccine should be a well-informed decision and should not be a fear- or panic-based decision ignited by the media. It is important to weigh the risks versus benefits when making your decision. The CDC recommends the flu vaccine for people who are at high risk for having serious flu complications or people who live with or care for those at high risk for complications. These include people over 65 years old, people living or working in nursing homes, and the elderly and young children with serious health conditions, especially respiratory conditions. The vaccine prevents hospitalization and pneumonia for 30 to 70% of elderly people living outside chronic-care facilities and people with chronic medical conditions. For the elderly in nursing homes, the shot can be 50 to 60% effective in preventing hospitalization or pneumonia and 80% effective in preventing death from the flu. This all sounds nice, but the flu shot is only effective in the above cases if the vaccine matches the particular virus that is present in the wild. When the vaccine and virus don’t match , there is not protection offered by the vaccine. 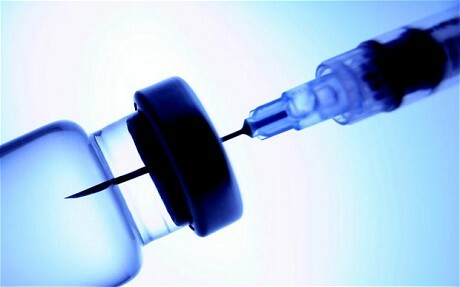 The vaccine only incorporates last year’s viral strains and cannot predict which strains will be circulating this year. While the vaccine may offer benefit to those with chronic health conditions (if in fact it matches the correct strain in the wild), there are also risks associated with it. First of all, vaccines are insufficiently studied. There is also a risk of allergic reaction to the flu vaccine, and severe reactions are greater risk for people who have had a reaction to the flu shot before or are allergic or sensitive to eggs. Mercury (thimerosol) is also used as a preservative in the flu vaccine, so people who get the shot also get a dose of mercury. The CDC says there is no convincing evidence that the low doses of thimerosol in vaccines cause harm. However, there was enough concern that in July 1999, the public health efforts, the American Academy of Pediatrics and vaccine manufacturers began efforts to reduce or eliminate thimerosol in vaccines. The flu vaccine does in fact still contain this toxic metal. 1. Eat a healthy diet rich in colorful fruits and vegetables. 2. Minimize dairy and sugar, which promote mucus production and suppress immunity. 3. Take a quality probiotic daily to support a healthy gut. After all, 70% of your immune system is based in your gut. 4. Take elderberry throughout the cold and flu season. A study published in the Journal of International Medical Research revealed that nearly 90% of patients had complete cure from the flu within two to three days after taking elderberry. It’s likely that antioxidants called flavonoids — which are contained in all deeply pigmented berries — stimulate the immune system. Elderberry can be taken as both a preventative measure as well as treatment for the flu.